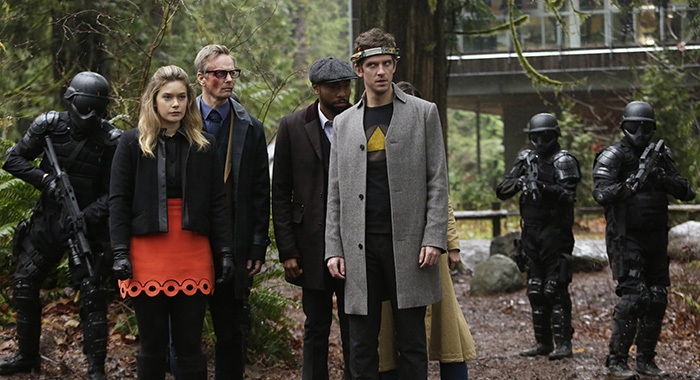 Last week featured the season finales of two excellent shows, The Magicians and Counterpart. 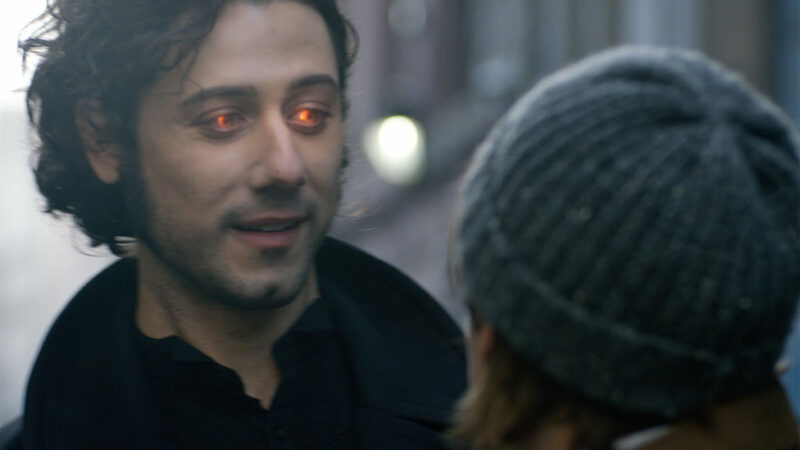 While I rarely watch fantasy as opposed to science fiction, I found The Magicians to be an excellent show from the start, and the past third season was the strongest yet. The third season does depend upon knowledge of earlier events, and I would recommend that those who have not watched start at the beginning. The sections on both of these shows will have major spoilers beyond the introductory paragraphs recommending both shows. The second season of The Magicians (finale reviewed here) ended with magic being turned off, leading into a season-long quest to find the keys which would allow magic to be turned on again. My (minor) disappointment in the finale comes from seeing that they technically succeed, but there is no time to enjoy the success. Instead the finale leads into what is presumably the plan for next season. Magic is back, but under the control of the Library. Brakebills is again teaching magic, but is being severely rationed. The memories of Quentin, Julia, Eliot, Margo, Kady, Josh, and Penny 23 were wiped as part of a deal which left them alive. Julia temporarily had goddess powers, but had to give them up. Alice is a prisoner of the Library as punishment for breaking their deal. Eliot is under the control of the Monster, has found Quentin, and wants to play. ENTERTAINMENT WEEKLY: The theme of sacrifice was really big in the finale. Why did you decide to focus on that in the finale? JOHN MCNAMARA: I think that theme is very much in all three of Lev Grossman’s books. It felt like we had reached a point in season 3 where sacrifice is, in a way, unavoidable because the situation is so dire and so enormous and involved a lot of well-meaning but flawed people, as happens in life, and that sacrifice really is one of the key ways in which you make changes to the world in the real world. We always start with, “What would happen in the real world without magic? What if this show was just a drama about college kids? What if these college kids were in an extremely high-stakes situation? Now let’s layer in fantasy as a kind of metaphor for depression, or conflict, or fascism, and then tell the story through that lens.” As Rod Sterling discovered with The Twilight Zone, you can say a lot of serious things about the world but keep it really entertaining if it’s through the lens of fantasy. With this finale, what did you want to say about the world? SERA GAMBLE: Well, we always had in mind that they would heroically succeed in their epic quest this season, but that they would also lose. Part of the point of telling the story about these particular young magicians is that they have just a little bit of power at their fingertips as they try to move through a world that is so much bigger and more powerful than they are. That’s how it feels to be stepping out in the real and adult world. Sometimes it feels like you have just enough strength to make a little bit of change or to do a little something for yourself and the people around you, and sometimes it feels completely f—ing futile. The tension between those two, I think, is actually part of what defines feeling like an adult. That’s something that tends to organically enter into their stories. When they have a victory, especially when that opens up a door into more life, there’s usually a sh—y part to it, and this was finale was no exception. At what point did you guys come up with the idea that the season would end with their minds/personalities being wiped? MCNAMARA: Pretty early on we had this idea of magical witness protection. Although I don’t think we were totally sure of where and when and how we’d use it, but I just know it was an idea we all liked. Once we sort of figured out it would be the coda for the season finale, it felt like it was the right plan. Structurally, you get a satisfying, successful ending to the quest, which I, as an audience, would really want, and then you just get all these ripples, tsunamis of complications that result from that. “Be careful what you wish for” is one of the most common themes of fairy tales, and here we are: Be careful what you wish for, magic is back, and you have no idea who you are. The biggest twist of the finale was that this monster has taken over Eliot’s body. How did you land on Eliot being the one it takes over? GAMBLE: We know that the actor who plays Eliot is amazing. When you’re fortunate enough to produce a TV show for a few seasons, hopefully you’re learning lessons along the way about things that work. 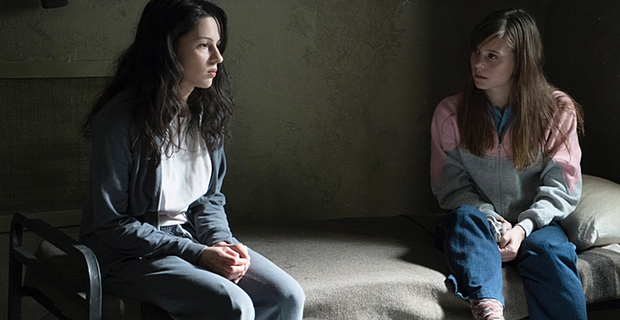 One lesson we learned in season 1 is that if you have a great actor, really think about that. We learned that when we cast Mackenzie Astin to play Richard. We had it in mind that we would kill Richard when Reynard entered the story and we would have to cast Reynard, but very quickly when we started seeing the dailies of Mackenzie, we realized we were never going to be able to top him. It was hard to imagine someone doing more with the role. At the risk of patting ourselves on our backs, we were right. That was really the inspiration. We talked about that in the room, about how it just meant so much more to us when we were watching Reynard on the screen. There was just this little extra wistful feeling of unfairness that came from the fact that he was inside of the body of this character who was so good and was really being violated. One of the late-season twists was the Penny from our timeline being replaced by a Penny from another timeline. What went into deciding to introduce this new Penny instead of coming up with a way for our Penny to be resurrected? GAMBLE: We didn’t want to do the same thing we always did. We assumed that the audience would expect us to save Penny. Of all the characters, I have to double-check the statistics here, but I’m pretty sure we’ve had him near death as much or more than anybody else. We’ve saved him from certain doom several times over the last few years. 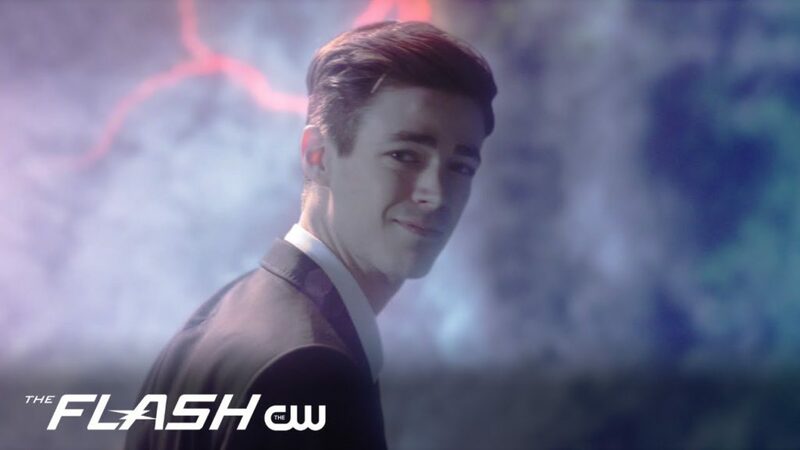 To be completed honest, when we entered the season we were like, “He’s got the super cancer and we’re gonna have to find a way to fix that [in a way] that feels fresh and feels different.” Because we ask these questions in the writers’ room, one of the questions we asked was, “What if we just don’t save him this time?” Of course, first there’s silence and fear and your stomach drops because you can’t kill Penny; Arjun Gupta is a series regular and we like Penny! Looking ahead, what can you tease about what you have planned for season 4? MCNAMARA: Most of the cases of the new identities of our characters, their professions, are not what you think they are or what they look like. It looked like one thing, but in about half of the cases, it’s something completely different. We’ve only shown you a sliver of who or what they are, and that sliver is misleading. 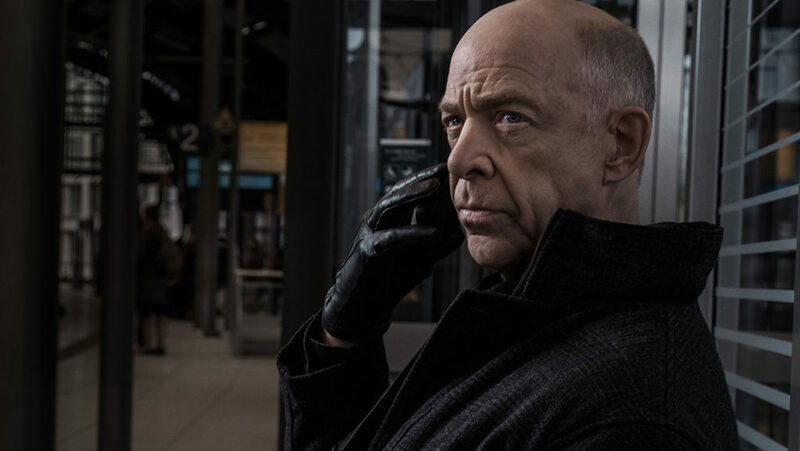 Counterpart is part Fringe and part John le Carré as there is now a new Cold War between two versions of the earth which split apart. There are differences in each. In one there are no iPhones and in the other Prince is still alive, with an attempt to smuggle over his most recent album to our earth. The more significant differences are between different versions of characters from each earth, with some having taken paths which are quite different from their counterpart. 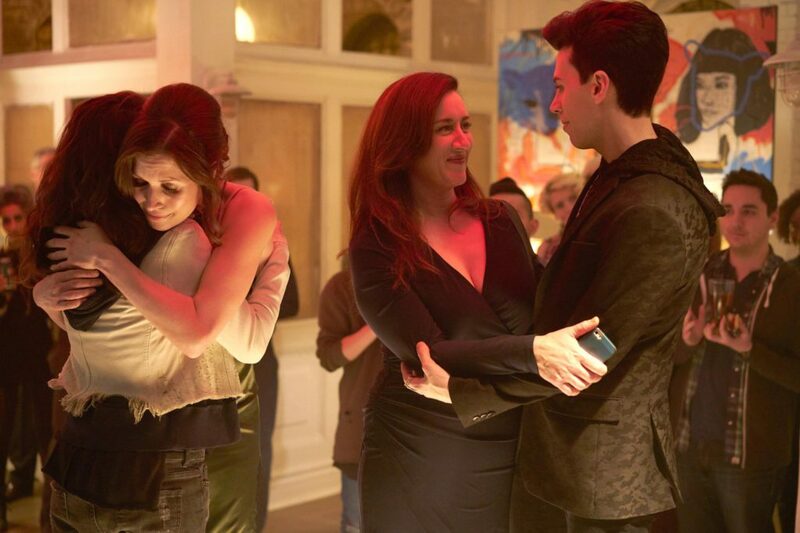 The series was picked up for two season, and the season finale leaves mid-story off after key events to be continued in the second season as opposed to being a finale of an arc as on The Magicians. Major spoilers to follow. 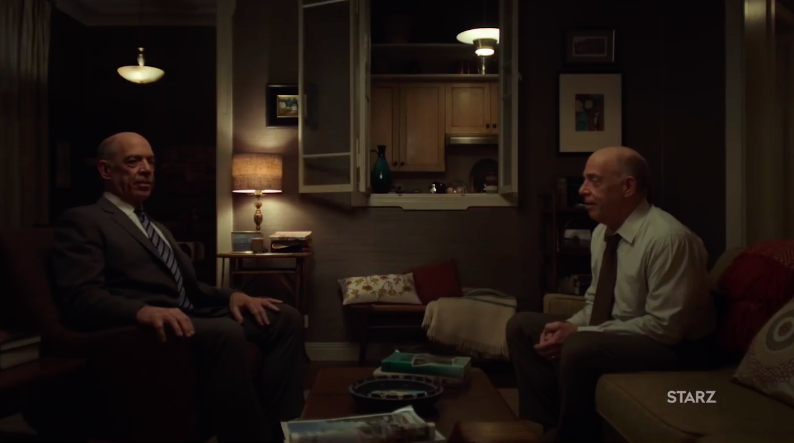 For most of the season the show was primarily about the the two Howard Silks (J.K. Simmons), with Simmons doing an excellent job of playing two different characters. The series showed added depth when it devoted an episode to secondary characters. Rather than feeling cheated that the main character wasn’t present, as often occurs when series give the main character a break in this way, the conflict between the two earths was better defined by giving Clare’s backstory and more fully developing other characters. Over the course of the season each Howard, while having some degree of contempt for the other, wound up becoming more like their counterpart in some ways–which is hardly surprising considering that they are versions of the same person. The season became more compelling when each was in the other’s earth, and the season ended with each trapped, and having to make new alliances. The diplomatic crisis after the attack leads to a look at the control of each side, raising the question of whether the same Management is in control of both sides, or whether both evolved in a similar manner. Howard Alpha kills Pope. How does that change him? It’s a very big moment for Howard. In a lot of ways, the whole season has been about the areas of overlap between Howard Alpha and Howard Prime. Pope taught Howard Prime everything he knows about the spy trade. And he was blind to the truth about Pope early on in the season. There’s something fitting to the fact that Howard Alpha, in killing Pope — albeit in self-defense — was able to do what Howard Prime couldn’t ever bring himself to do, which is acknowledge that Pope has been manipulating him and that he’s the enemy. Emily Prime warned Howard Prime about Pope — even giving him the news about his rendition order coming from Pope, and it still didn’t sway Howard Prime. Yes. And you have to consider the source when it comes to Emily Prime because Howard Prime seems to have such a difficulty forgiving her for past transgressions. When it comes to the relationship between Emily Prime and Pope, there’s no love lost there. So, for her to be the siren warning him, it’s hard for Howard to believe someone like that. The two Howards are slowly moving closer to the core characteristics of the other. Howard Alpha is becoming more hard-boiled and Howard Prime is showing more vulnerability than he ever has. Is that the whole character arc for them at this point? Would the old Howard Prime have made the deal with the assassin Baldwin (Sara Serraiocco) when he first crossed over? No, not at all. And would Baldwin have made the deal with him? Being in our world has profoundly changed her as well, especially since she witnessed her doppelganger being killed. She now wants this storybook life. But can she truly find that? Just who is the real Baldwin? When it comes to Baldwin and her counterpart Nadia, she saw in Nadia someone who clearly at the beginning of that second episode, had a somewhat of a contempt for her other and we play with it a lot in these characters. There’s an extent to which they covet what the other has, or what the other has done or has endured or not endured. The reveal is that both of them suffered that same trauma and Baldwin questions why her other was able to overcome that trauma of watching their father die and essentially being complicit in the act by not trying to save him. How is it that Nadia was able to do what she did and then the reveal that Baldwin had turned her pain outward to the world as a killer. She wears her scar on the outside of her clothes, so to speak. Nadia had turned her pain inward toward herself and Baldwin realizes at that moment that you are born back against your own trauma; that there is no escape from it. And if there is no escape from it, then isn’t it likely that she can possibly fight against that and erase it and create a new identity for herself. That’s what she’s doing: She’s going to try to build a new identity and that’s what she tries to do, to mixed success, in the first season. When Clare meets Peter in the hospital after the intentional car accident, she realizes he has cast his lot with her, that the accident was his way of setting up an alibi for them, so in a way she owns him now. As a result, putting Peter in charge of the Indigo investigation is like the fox guarding the hen house. Yes. Clare becomes what she needs to be in order to survive. If she needs to be Baldwin’s lover. she’ll be Baldwin’s lover; if she needs to be Quayle’s wife, then that’s what she’ll be. She is at a bit of a crossroads when it comes to the birth of this child. A child born of two worlds is a very complicated thing that she probably did not see coming when it came to stretching her loyalties. Quayle is the father of her child and he is the reason she is still alive because it’s her mission to handle him, to run him, to siphon intelligence from him. So she is just as much a victim in this marriage as he is. They’re both victims of this pretentious idea of a marriage where they were both using each other for their own separate needs. For Quayle it was ambition, and for Clare, it was this man who is well connected, who she was going to steal intelligence from. Moving forward, both of them have a lot to learn when it comes to finding a truth. But they are moving toward each other in a strange way. And the power dynamic continually shifts as it does in every marriage. Let’s talk about what is probably the most unusual conference call in the history of TV between the two worlds.The very unusual tech involved is virtually identical. Are the members of management on both worlds the same people? That is something that is potentially being suggested. The answer is a lot more complex and it’s an answer that our second season really wraps its arms around: Who is management? What is their history? What is the history of the crossing and the history of the Office of Interchange? How did it really form in the first place and why? And how it developed over the decades. We understand why Indigo is driven toward some sense of revenge against our world. What we haven’t yet seen a lot of is how Indigo also came about and what its connection with management is. At the end of the first season, we wanted to introduce the idea of management in a way that wasn’t what we would otherwise expect because in the second season management is a kind of character of their own. The show is a metaphor for the Cold War, and the crossing is very similar to Checkpoint Charlie in Berlin in the early 1960s, especially when the infiltrator dies in the no man’s land in between. Is the crossing your modern version of the Checkpoint Charlie scenario? Yes. The whole season, allegorically speaking, I would call Berlin 1961, right as the wall was about to go up. That’s the story of the first season, where there’s clearly a Cold War brewing in every respect, but the wall hasn’t quite officially been drawn. The second season is the Cold War after the Berlin Wall has been formed and how people start to draw battle lines and how they escalate the spy game in light of the fact that diplomatically we are more hostile toward each other. This is a show which would benefit from freeze-framing, especially when it comes to the Crossing. Or even with the zany Management set-up in the finale. I really hope people do freeze-frame. I want to invite people to watch it on that level of detail. I wanted the show to feel like a Robert Altman version of science fiction more than Fritz Lang. Altman left all these windows open where you could see Lyle Lovett wandering around in the bushes back there, and you’re like, “What is he doing and why is he doing that?” It feels like the frame is alive more than just its four borders. One of my favorite things to look at in freeze-frame are all the Interface documents, all that code. That’s the kind of stuff we really live for, because the weirder, the more out there, the more zany the concept is, the more rigid the execution has to be. The reveal that Claire Prime had taken this deep cover assignment to impersonate Claire Alpha was a major shock, not least of which to her husband, Peter Quayle, which continues that theme of men underestimating women. I don’t think there’s anyone less qualified to have the job that he has than Peter Quayle. The person whose job it is to look for people who’ve infiltrated the organization doesn’t realize the woman he’s been sleeping with [is a mole]. There is a black comedy here, in Peter Quayle’s character, because Quayle — this philandering, underqualified, good-looking young guy — is a manifestation of privilege. We get to turn that inside out. And in the satirical manner of the last episode, Peter Quayle gets everything he ever wanted at the worst possible time. I want to fill in Mira, the woman who trained Claire at the Indigo school for sleeper agents, because their ideology is a very important story for us in Season 2. What about Emily Alpha? She figured out all the intrigue before anyone else did, and then spent the season in a coma. But now she’s starting to wake up. There is always a temptation when you have that wife in a coma to idealize her, which is a little misogynistic, too. The only way we could convince Olivia Williams to do this show was to pitch her the two-season plan of who both Emilys are, and that the woman in the coma is in fact much more complex than any other character. Both Emilys, those are job descriptions that are typically reserved for the George Smileys of the world, the James Bonds of the world. [During filming] Olivia was walking through one scene with another male character, whose position is actually underneath her in the hierarchy of the show, but even then, the background actors look at the male she’s walking with and sort of nod, “Yes, sir” to him, not realizing that she’s the one who’s actually in charge in that scene. The clichés that abound, they speak to a certain gender norm that we didn’t want the show to reflect. There are also interviews with J.K. Simmons here and with Harry Lloyd (Peter Quayle) here. Right now the future of the films are uncertain. 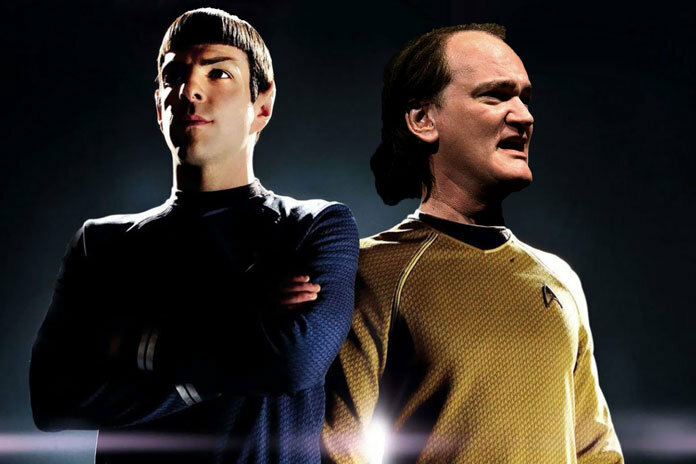 The current cast contracts reportedly ended with the underperforming “Star Trek Beyond” in 2016, though several have expressed a desire to return including Karl Urban and Zachary Quinto. “First of all, I think there’s a couple of scripts. Because there was a script being written before Quentin Tarantino came up with his idea for a potential film. And so I think they are kind of developing more than one. So I don’t know what is going to happen. Quentin is off doing another movie. 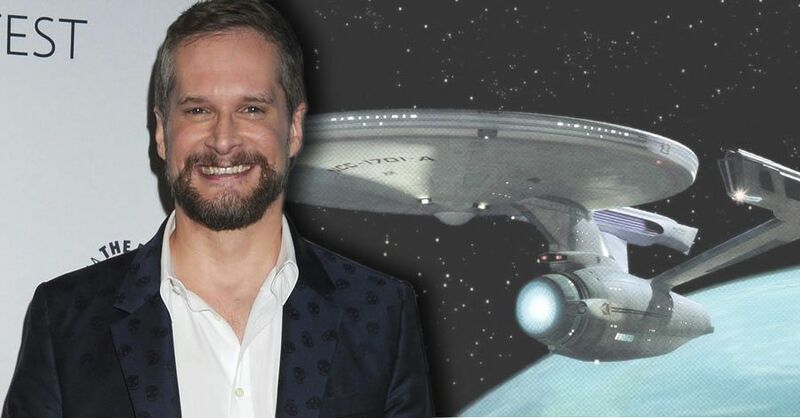 Before the Tarantino reports, there was talk for a fourth film effectively closing out this alternate timeline “Star Trek” and would do so by bringing back Chris Hemsworth’s dead George Kirk from the 2009 film – the destruction of his ship the U.S.S. Kelvin being the incident that caused the alternate timeline. I wouldn’t mind if the alternate timeline was dropped for future movies. Arrow, The Flash, Supergirl, DC’s Legends Of Tomorrow and Black Lightning have all be renewed, as well as Supernatural, which is currently the network’s longest running series with Season 14 on the horizon. Non-genre shows that have also been given another season include Jane The Virgin, Crazy Ex-Girlfriend, Riverdale and Dynasty. 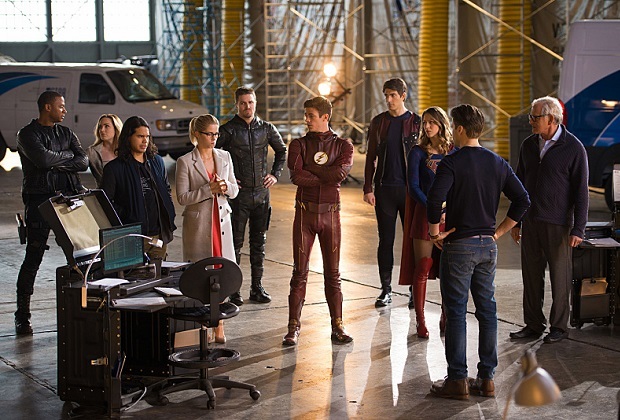 In a statement, CW president Mark Pedowitz said: “As The CW expands to a six-night, Sunday through Friday schedule next season, we are proud to have such a deep bench of great returning series for 2018-19. It is noted that iZombie and The 100 are missing from the list. They might be waiting until iZombie completes its current season which is now airing. 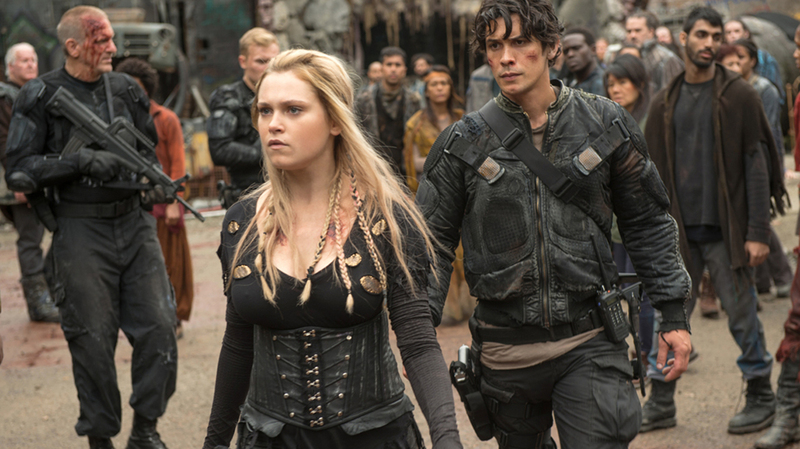 The 100 has not started its season yet so the lack of an announced renewal is not surprising. Hopefully it is not a sign that Amazon is moving away from quality shows. They have announced the cancellation of Mozart In The Jungle after four season. Killing Eve begins tonight on BBC America. It sounds like it might fill in the gap on the television schedule for spy shows with The Americans soon coming to an end and Counterpart being done for the season. Just as we struggle to get used to the transition in Washington, there is another huge transition to look forward to. As I posted earlier in the week, the big news is that Peter Capaldi has announced that he will leave as the Doctor, with his last appearance on Doctor Who to be in the 2017 Christmas special. There might be speculation for many months as to the next Doctor, with reports that incoming show runner Chris Chibnall will be waiting until next fall to chose a replacement as he is currently busy with completing the third and final season of Broadchurch, and then plans a vacation. There are also reports that he will not start filming Doctor Who until early 2018, with the show not airing until fall, giving us another long gap between seasons. The speculation regarding the next actor to play the Doctor appears to be concentrating even more on having the first woman or non-white Doctor than in the past. 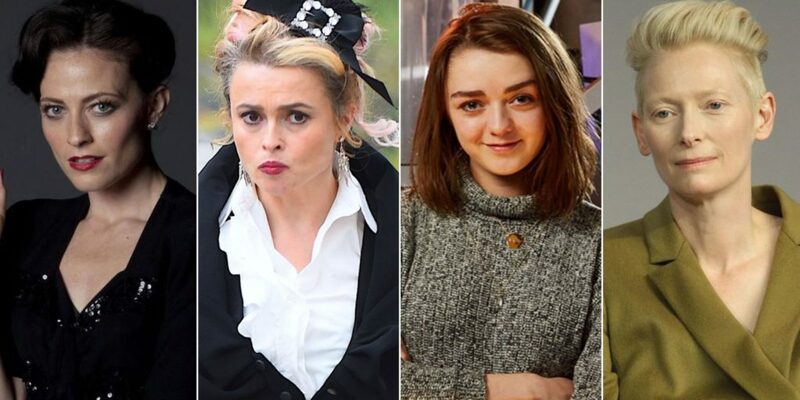 Digital Spy looked at some of the top female contenders for the part. David Tennant backs his costar on Broadchurch, Olivia Coleman. 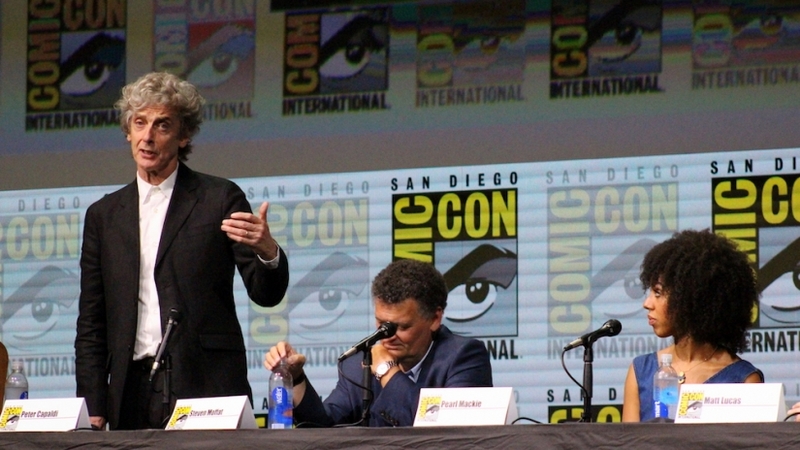 Peter Capaldi suggests Frances de la Tour. Billie Piper is also calling for a woman to receive the role (but has no interest in doing it herself). Just to be clear, my opposition to Hillary Clinton replacing Peter Capaldi is not sexist and does not indicate an opposition to having the first female Doctor. My opposition is just to that woman. Hillary Clinton is terrible at acting. Look at what happened when she tried to act like a progressive. There are plenty of far more qualified choices being discussed, such as Hayley Atwell or Lara Pulver, along with those mentioned above. Jill Stein would be a far better choice, and is even a real doctor. I would chose to have Barack Obama be the first black Doctor before picking Clinton. Joe Biden would also be an excellent choice, having a similar look to Jon Pertwee. 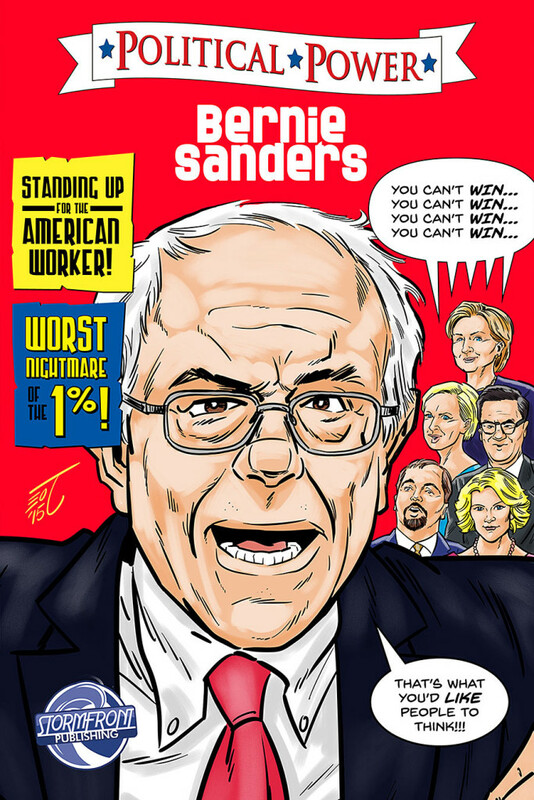 I disagree with those who say that Bernie Sanders would be too old or too far left for the role, although I see him more as a Jedi Knight than a Time Lord. Of course, #NeverTrump. However, if they decide to have a regeneration of the War Doctor after the recent death of John Hurt, then Hillary Clinton (aka The Queen of Chaos) should be a top choice. As of now, Clarke is the only one with the knowledge that the world is going to end … again. The rest of Skaikru and the Grounders have no idea, and as season four begins they’re all going to have their hands full with picking up the pieces of their respective civilizations after ALIE took over their minds and convinced so many people, both Skaikru and Grounders alike, to kill themselves and their loved ones all in the name of the now-destroyed “City of Light.” Will Clarke tell everyone about ALIE’s warning, or will she keep this revelation to herself? While Clarke has always been the de facto leader of the 100 juvenile delinquents sent down to Earth, with help from Bellamy (Bob Morley), when the rest of the Ark came down from space, the adults didn’t listen to Clarke’s guidance. They thought they knew how to lead better, and they’ve been proven wrong time and time again. With Chancellor Pike (Mike Beach) murdered by Octavia (Marie Avgeropolous) and Jaha (Isaiah Washington) officially fallen from grace after he helped ALIE take over, Clarke will finally take the leadership position that is rightfully hers. Jason Rothenberg also discussed plans for Clarke, plus other characters, in an interview with Nerdist. 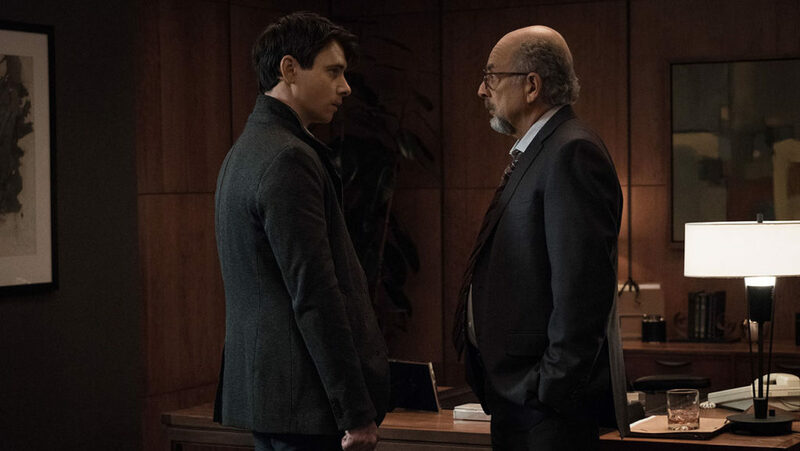 But according to Monaghan, that wasn’t the original ending the Gotham showrunners had planned for this episode and his character—in fact, Jerome wasn’t supposed to survive the winter finale at all. 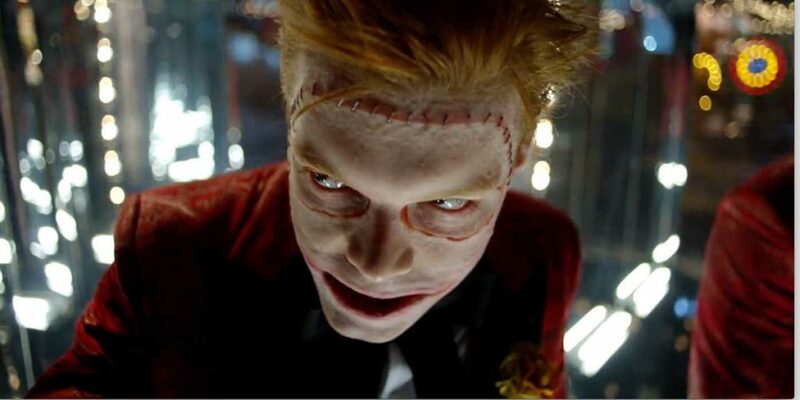 When Monaghan first debuted on Gotham back in season one, the showrunners didn’t officially call him the Joker, explaining instead that his character was the earliest inspiration for the Joker, who would come later. But now, it looks like the show is finally coming out and saying that Jerome is the Joker, at least for the DC Comics TV universe. CBS announced that Star Trek: Discovery has started production. Air date is still unknown, with the previously announced date already having been moved back twice. There was also additional casting news, with Emily Coutts as the helmsman. I recently noted that, following the inauguration of Donald Trump, 1984 had moved up to be the number six best selling book on Amazon. It is currently at number two, and had made it up to number one recently. As it was sold out for a while, this might possibly account for its slip to number two. Some other books to consider following the inauguration of Donald Trump, both alternate histories, were discussed here. We will see the outcome of that huge plot twist on The Good Place, as the show has been renewed for a second season. Mozart in the Jungle has been renewed for a fourth season by Amazon. 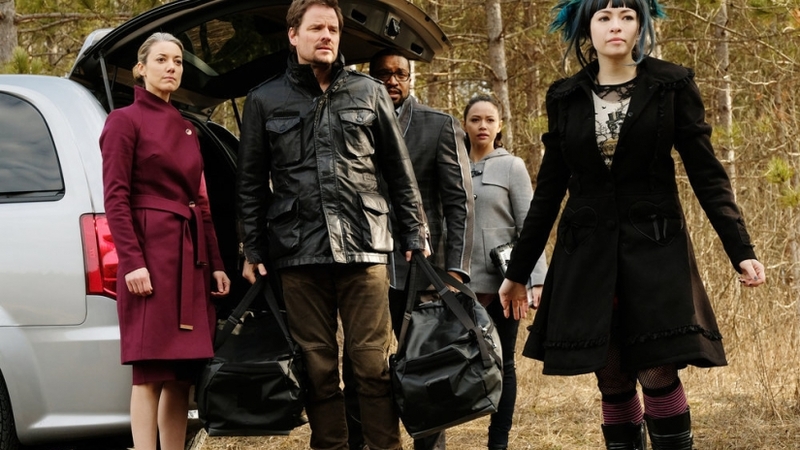 TNT has renewed The Librarians. 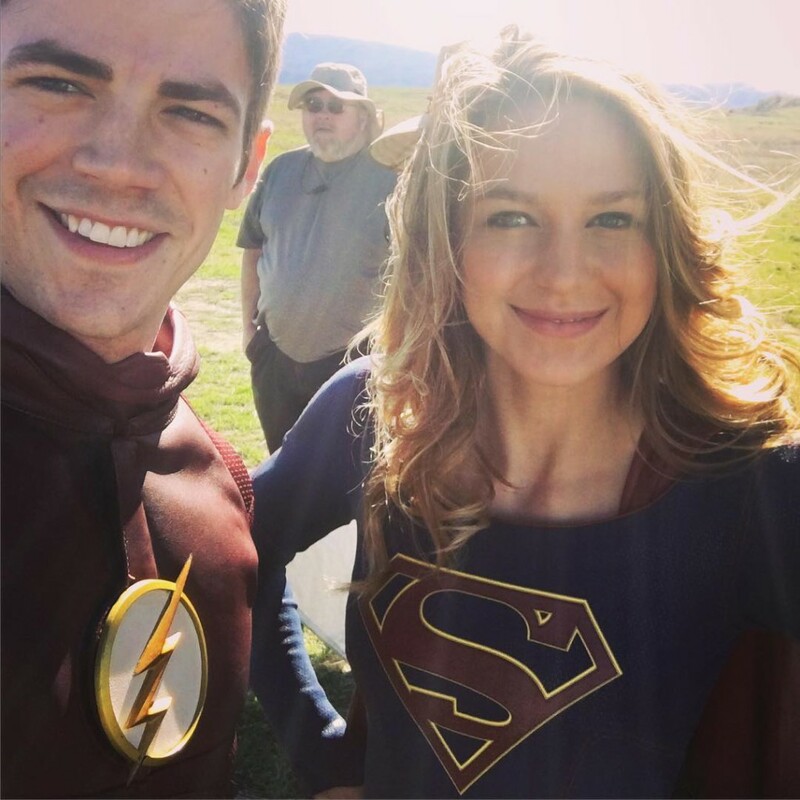 Supergirl has already used a number of actors who have played characters in the Superman universe. Teri Hatcher, who played Lois Lane in Lois & Clark, has been cast to play a villain later this season. Aftermath has been cancelled. Over in another corner of the DC universe, Powerless debuted. It is too early to evaluate the show and I want to see more of it. Screen Rant lists sixteen DC Easter eggs and other references. 12 Monkeys will have its cast reunite in the 1980’s when it returns. There has been a reduced television schedule so far this year, (giving me time to watch the second seasons of Catastrophe, Mozart In the Jungle, and Tranparent), but many shows are starting or coming back soon. Blastr has a list of nine science fiction shows premiering in January. I have already discussed Legends of Tomorrow and the revival of X-Files several times in the past. The trailer for Legends of Tomorrow,which premieres on CW on Januray 21 is above. ScreenRant discussed Sara Lance’s mental state on the new series with Caity Lotz. As for the three shows I mentioned watching above, Catastrophe‘s second season was broadcast in the U.K. on Channel 4 late last year but is not availably yet on Amazon, while the second seasons of the other two shows recently became available. The first season of Catastrophe, which I ranked as the best new comedy of 2015, is available on Amazon. Getting back to the science fiction shows premiering this month, I have heard some favorable buzz for The Shannara Chronicles which began on January 5 on MTV. Nerdist interviewed the executive producer, Miles Millar. Other shows on the list which have received the most interest so far have been The Magicians (with Syfy streaming the pilot early) and Colony (with initial reviews being better for the first). Initial buzz has been negative for Second Chance, and there are questions as to whether Lucifer can make it on a major network. There will be many additional genre shows premiering later in the year, along with the return of other shows. What Culture has a list of original shows appearing on Netflix this year, including Daredevil, which returns on March 18 (trailer above). Supergirl returned last week, resolving the cliff hanger of Cat figuring out her secret identity just as I predicted last Sunday. Sherlock returned for a single episode,The Abominable Bride, on New Year’s day. Those of us expecting a self-contained story in Victorian times were surprised by what was actually done with the episode and how it actually played into last season’s cliffhanger. ABC has ordered a pilot for the Agents of SHIELD spinoff, Marvel’s Most Wanted. The series will center on Bobbi Morse (Adrianne Palicki) and Lance Hunter (Nick Blood). Among the shows I’m most interested in seeing, 11.22.63 premiers on Hulu on February 15, with new episodes being released weekly as opposed to all episodes being released at the same time as on Netflix and Amazon. (Trailer above.) There will be some changes from the Stephen King novel. More here and here, plus J.J. Abrams also addressed the controversy over the female lead in Star Wars: The Force Awakens (reviewed here) being left out of the Star Wars themed Monopoly game. In my review of Star Wars: The Force Awakens I noted how the novelization has filled in some plot holes. Mashable has more from the novelization. In addition, the script has been released which also provides further explanation of some plot points. J.J. Abrams also says that Person of Interest will probably end after this season, which is no surprise considering how it is receiving a reduced thirteen episode run and has not made the schedule for this season yet. As long as it ends well this season, that is fine with me. 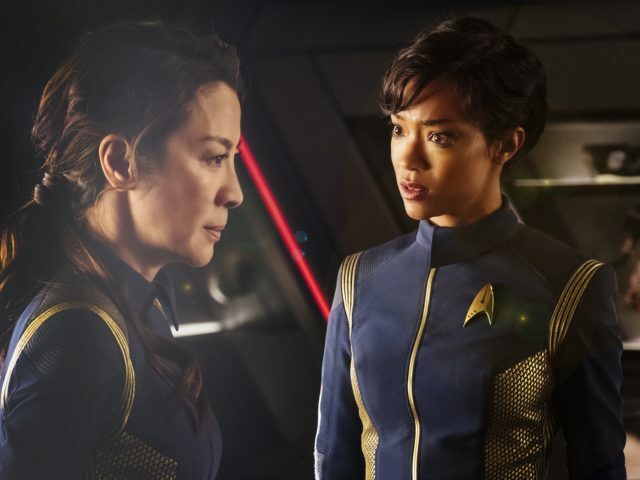 The show gradually changed over time from primarily a procedural show to a true science fiction show, and it is better to have it end well as a great genre show as opposed to continuing indefinitely as a typical CBS procedural. 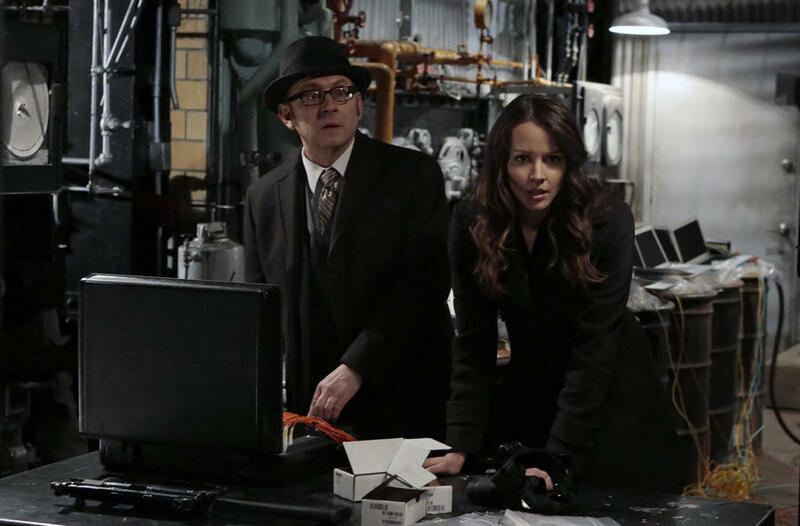 Like Person of Interest reinvented itself this year, Blacklist has also been considerably different from how it began. It was also off to an excellent start in this week’s episode. Unfortunately I don’t know how much longer they can continue this storyline for. The trailer above shows how the second season of Outlander will be much different from the first when it returns in April. While not genre, another show of interest, Love, from Judd Apatow and staring Gillian Jacobs of Community will be released by Netflix on February 19. HBO has renewed Girls for a sixth and final season. The fifth season begins on February 21. Sundance has renewed Rectify for a fourth and final season. Better Call Saul returns for its second season on February 15. Trailer above. 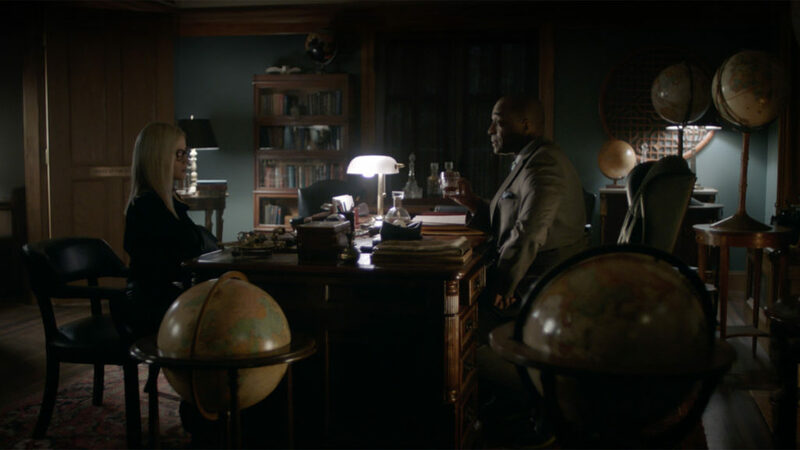 12 Monkeys will return on April 18 on Syfy. Besides all the speculation as to the fate of Felicity, there have been rumors that Stephen Amell would leave Arrow, presumably ending the series, in the next year or two. Amell responded by saying his contract runs through 2019 (which doesn’t guarantee that CW will continue the show that long). Laura Dern has been added to the cast of Showtime’s revival of Twin Peaks. While her role has not been announced, there have been rumors that she might play Special Agent Dale Cooper’s previously unseen secretary, Diane. The cast also includes Kyle MacLachlan, Sheryl Lee, Sherilyn Fenn, Jennifer Jason Leigh, Robert Knepper, Balthazar Getty and Amanda Seyfried. The first three were from the original cast. 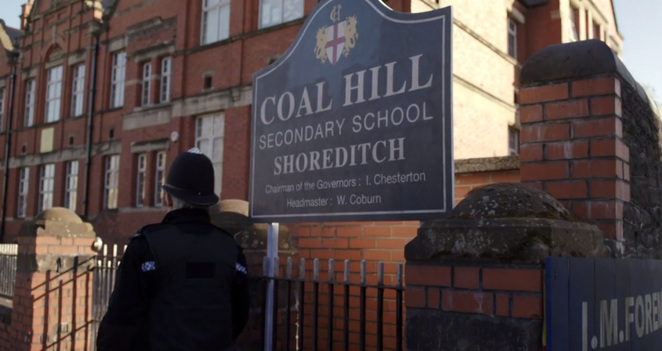 Class, the Doctor Who spinoff from BBC Three taking place at Coal Hill School, will also be available on BBC America sometime in 2016, but no date has been set yet. Doctor Who has made the short list for the National Television Awards in the Drama category. It is up against Downton Abbey, Broadchurch, and a show I am not familiar with named Casualty. Humans is among the nominees for New Drama. Downton Abbey has completed its run in the U.K. (doing a good job of concluding the series) and has resumed in the United States. BBC America is also working on a new television adaptation of Douglas Adams’ Dirk Gently series. There is now hope that Parenthood will return in some form, with Jason Katims being inspired by the movie Boyhood to return to the lives of the major characters over time. (Review of the finale here). It is interesting that two of the shows which might return in such a manner both star Lauren Graham, with a revival of Gilmore Girls now being filmed. Katims made it sound unlikely that the rumored follow up of his other show, Friday Night Lights, will return. Yahoo Screen has been discontinued, making it even less likely that Community will ever return. Sylvester Stallone discussed running for office and Donald Trump with Variety. David Bowie, the infinitely changeable, fiercely forward-looking songwriter who taught generations of musicians about the power of drama, images and personas, died on Sunday, two days after his 69th birthday. Mr. Bowie’s death was confirmed by his publicist, Steve Martin, on Monday morning. He died after having cancer for 18 months, according to a statement on Mr. Bowie’s social-media accounts. “David Bowie died peacefully today surrounded by his family,” a post on his Facebook page read. His last album, “Blackstar,” a collaboration with a jazz quartet that was typically enigmatic and exploratory, was released on Friday — his birthday. He was to be honored with a concert at Carnegie Hall on March 31 featuring the Roots, Cyndi Lauper and the Mountain Goats.